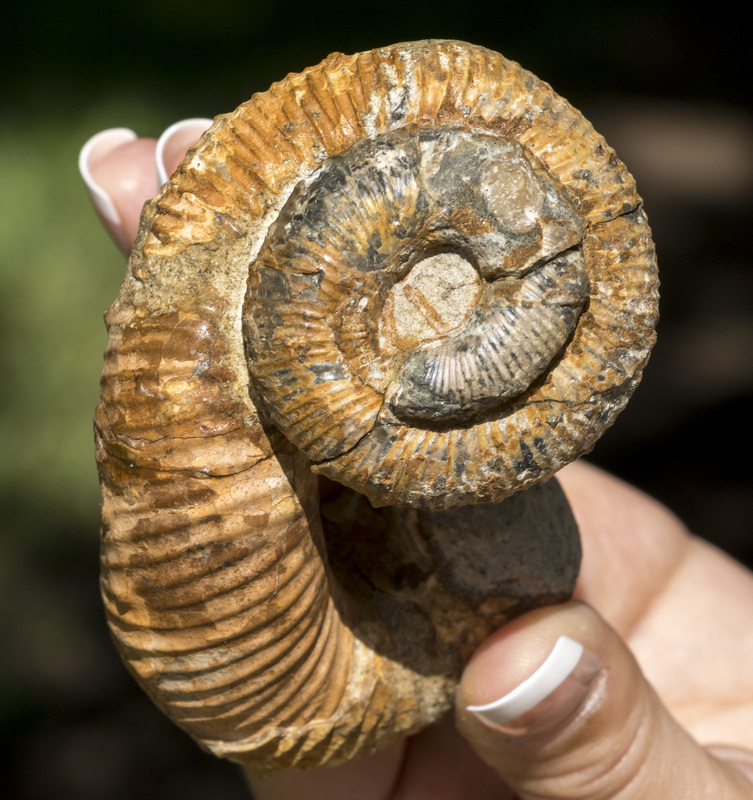 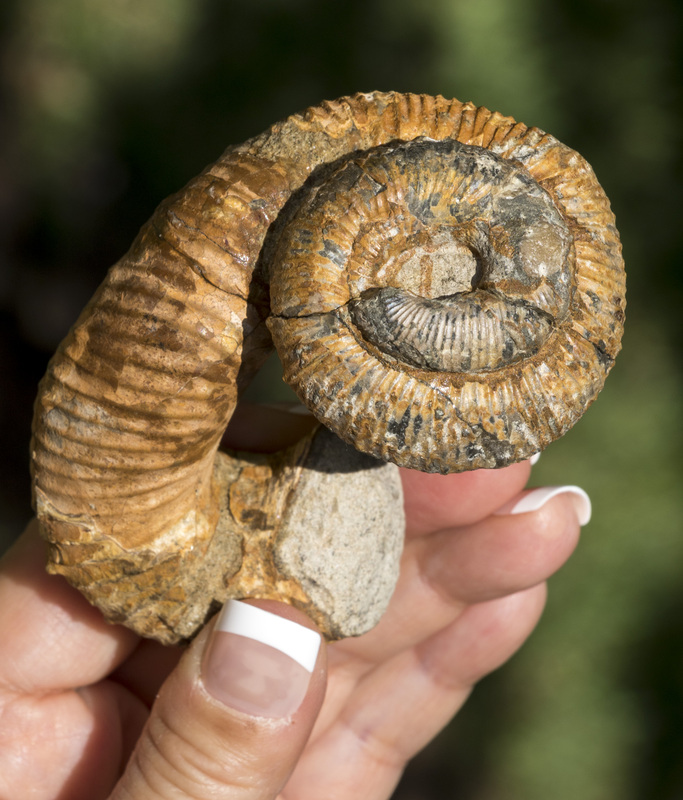 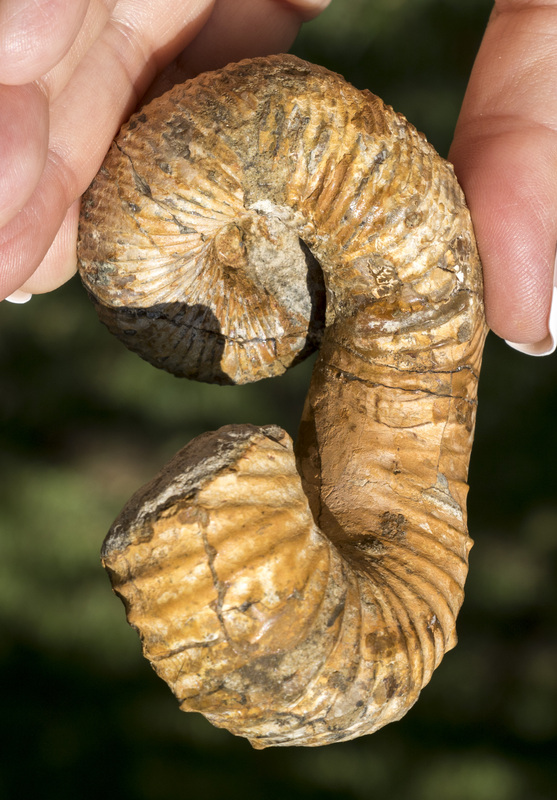 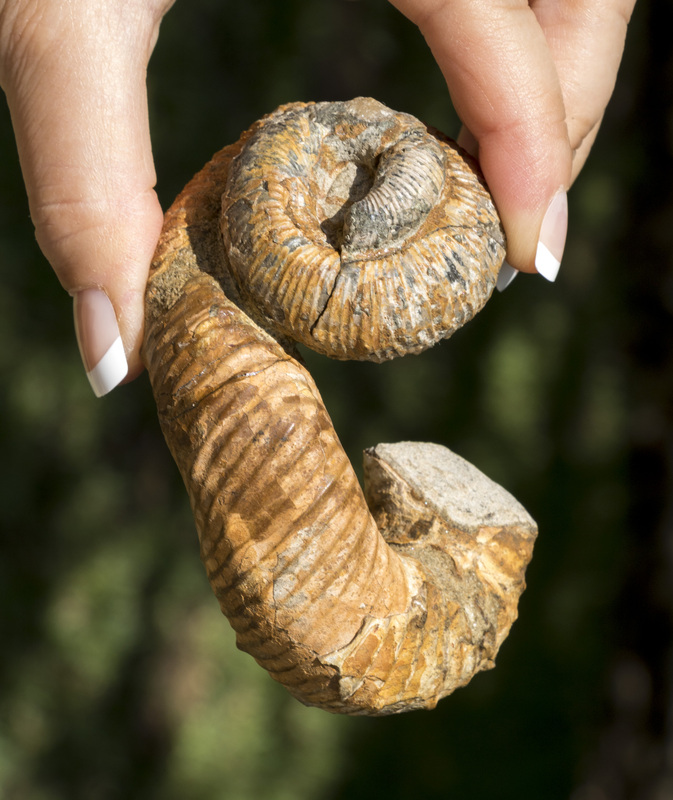 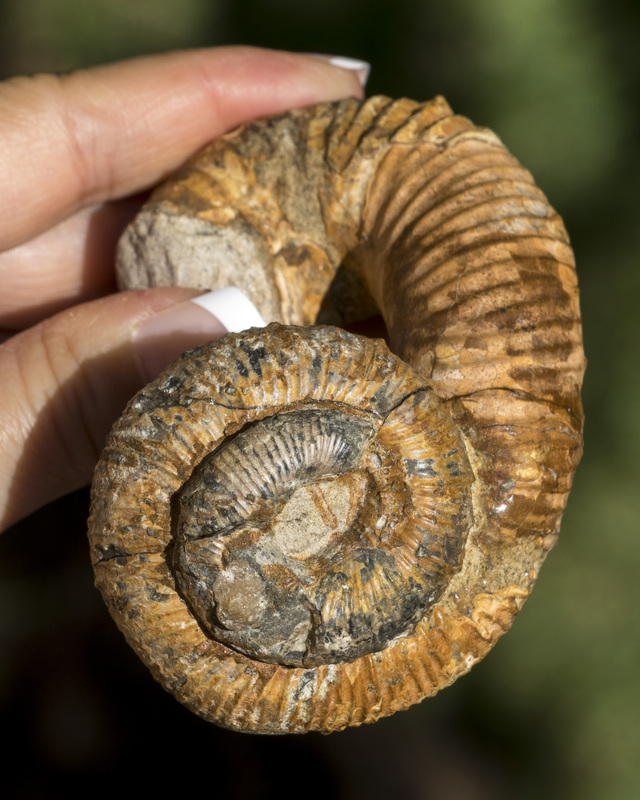 This fossil ammonite is 66-72 million years old from the Cretaceous Age. 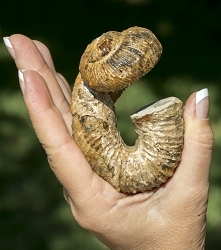 It has been expertly prepared, and the condition is very good with 100% original material. 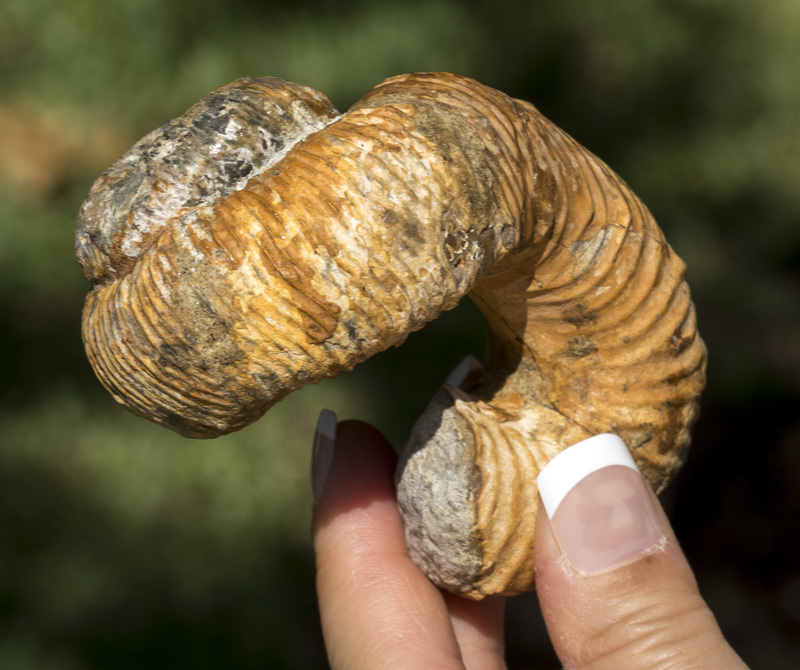 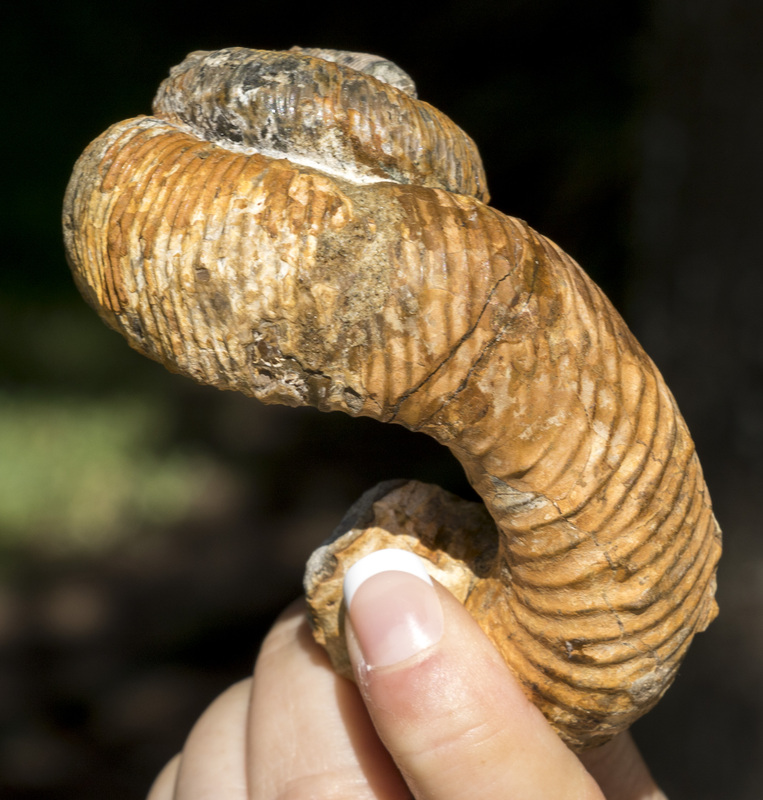 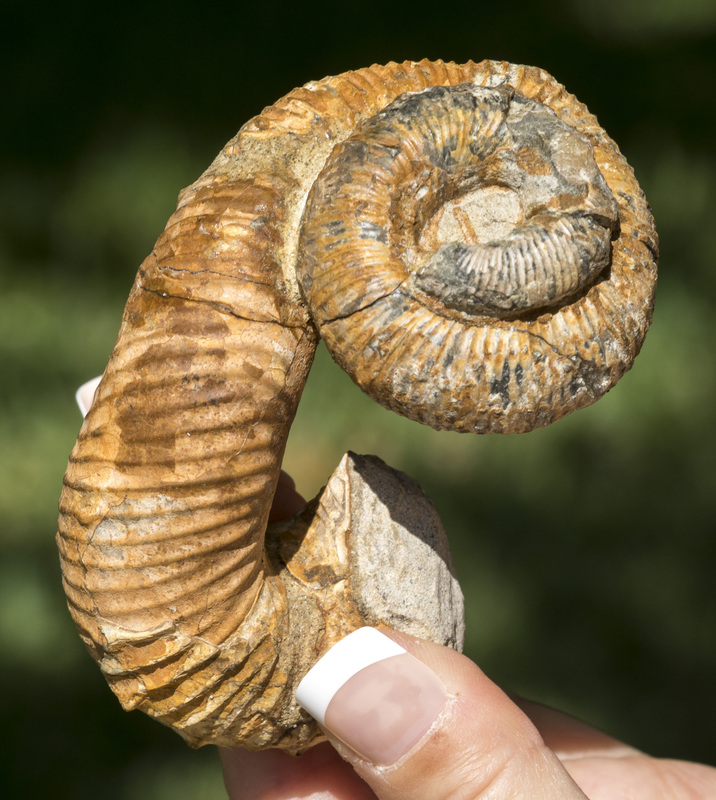 This specimen is NOT made up of bits of different specimens - this is all original from one Nostoceras ammonite. 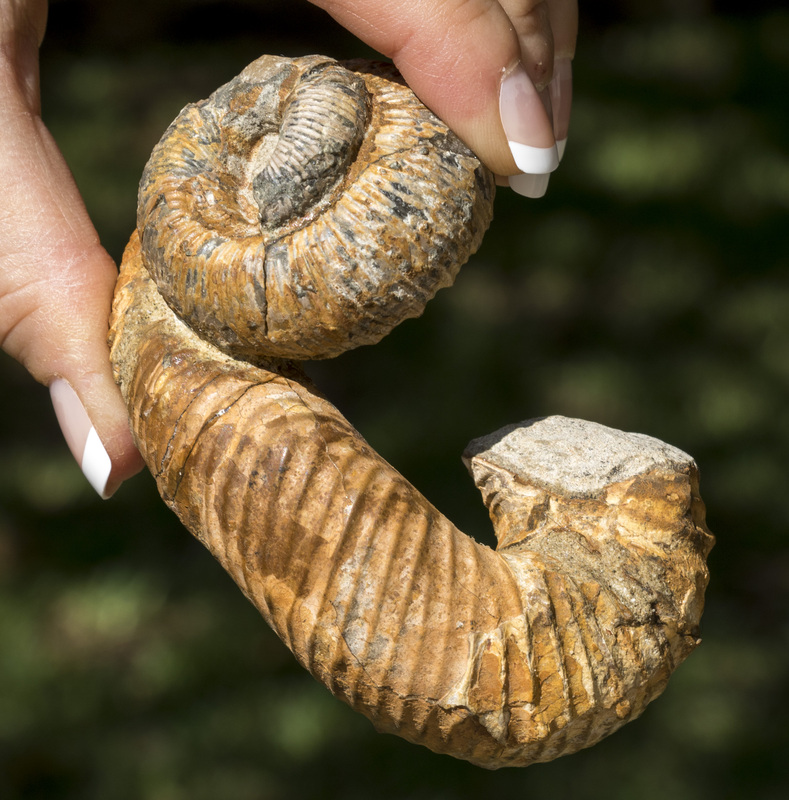 It is very rare to find these in such well preserved condition where the spiral tip is still intact along with the rest of the shell.